Looking for a creative shot that you can capture quickly and with materials found within your house? 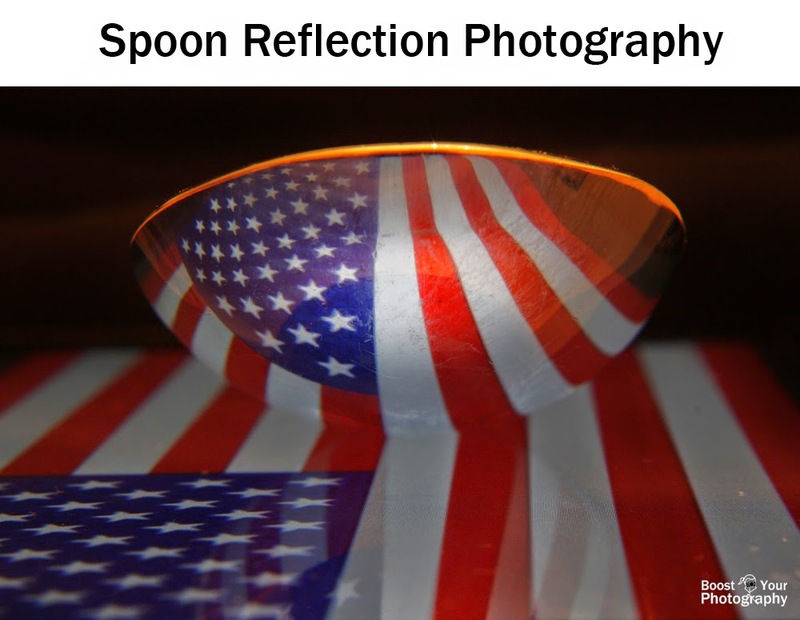 Look no further than spoon reflection photography. 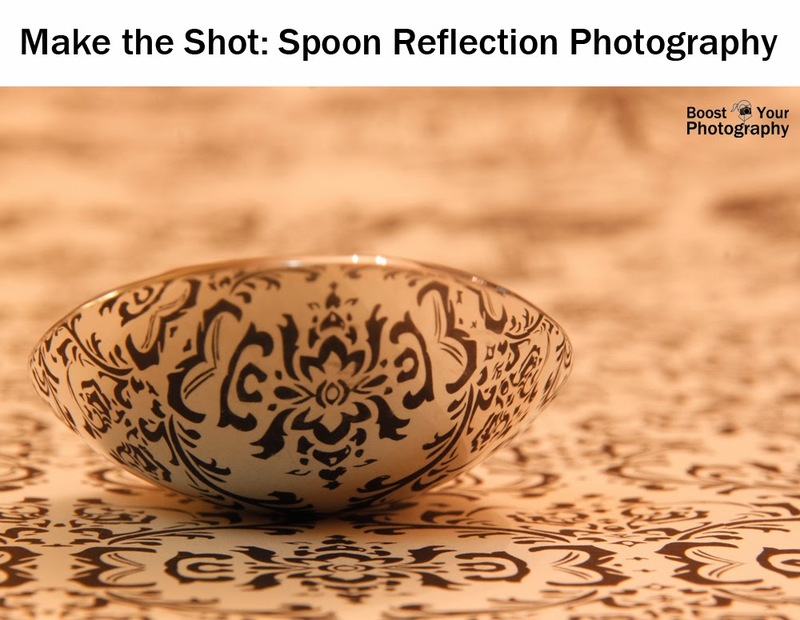 As a child, you may have marveled at the reflective nature of your spoon (perhaps right before trying to breathe on it and stick it to your nose), but it may never have occurred to you to use it for your photography. I am very fond of reflections (for tips on excellent outdoor reflections see Puddle Reflection Photography) and after seeing this style of shot crop up several times on 365project.org, I knew I had to give it a try. The necessary materials are quite basic – your camera, a spoon, and an interesting design or pattern to reflect. I recommend using larger soup spoons to start. You can use all sorts of materials for the background and reflection. Both of the above images were created using 12” x12” pieces of patterned scrapbook paper, which can be bought quite cheaply as individual sheets or entire packs of various designs and colors at your local craft store. 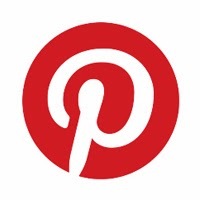 You can also use colorful or patterned table cloths, table runners, napkins, even book covers. Is it also helpful if you can prop the back of the background material up somewhat, which adds to the ‘infinite’ feel of the shot and blocks out anything else from appearing in the shot. It works best to set up your background and spoon on a raised surface, like a tabletop or counter, so that you can get your camera nearly level with that surface. This will help you see more reflection on the underside of the spoon. I also recommend putting your camera on a tripod, as you will need enough depth of field (narrow aperture) to keep the entire spoon in focus. Read about how to Maximize your Tripod for tips on using your tripod most effectively. For these shots, I used my zoom lens zoomed in to its furthest (270 mm, in my case) in order to fill the frame with the spoon and its reflection. I recommend shooting in aperture priority mode so that you have control over how little or how much of the spoon and the background are in focus. In the shot above, an aperture of f/6.3 rendered the background (and some of the foreground) a complete blur. 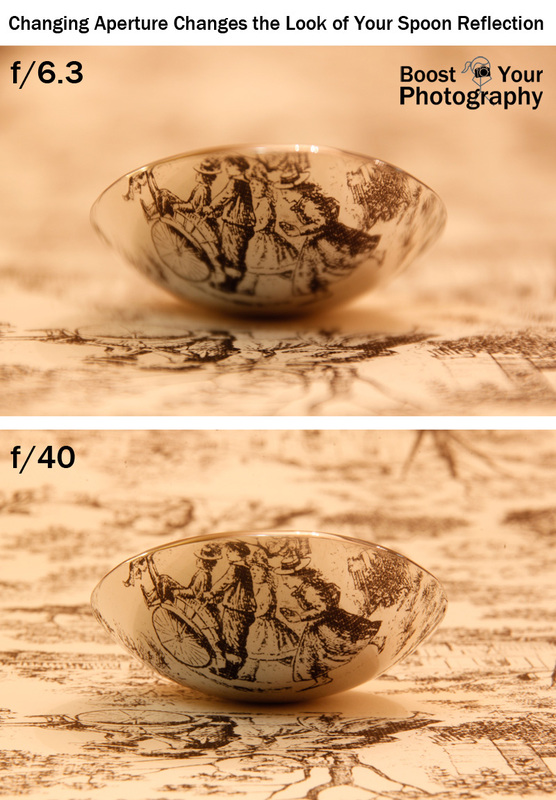 In contrast, in the shot below, an aperture of f/40 rendered much more of the reflection and foreground in focus. My favorite of the series (the second image in this post) was in between these two: an aperture of f/13 that provided a balance between the entire reflection in focus but the background blurred. Don't limit yourself to just one spoon! Those are the basics; the rest is up to you. Try different designs, different patterns, or different angles. Try more than one spoon or even other utensils. Have fun with it!